Join us for a downtown walking tour devoted entirely to the contributions of Buffalo women! While walking by many of downtown Buffalo’s architectural attractions, learn about the significant role women have played in Buffalo history, including establishing and supporting many of our community’s institutions. Buffalo women have also had a major impact on American history, as the home of two First Ladies and America’s first professional woman architect, among many others. In addition, Buffalo has been home to many prominent women artists, authors, and actresses, and women have been leaders of the local architectural preservation movement including the saving of the Old Post Office. 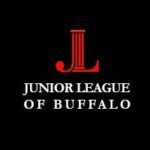 This tour is made possible with the generous support of the Junior League of Buffalo.